About forty minutes away from Tottori City lies the old castle town of Shikano. Shikano is a picturesque place—old Japanese houses line the streets, and in the middle of a wide moat populated by koi and swans, the local middle school does its best impression of an ancient castle. 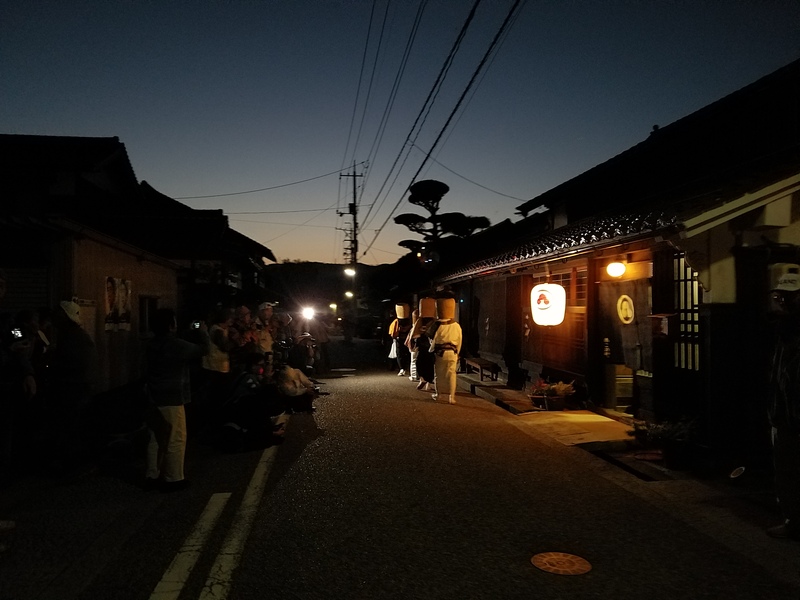 We join a small horde of eager cameramen—both professional and hobbyists—who have descended on Shikano to document the Shakuhachi Pilgrimage which occurs once every two years. The shakuhachi is a Japanese bamboo flute with origins from China. The name “shakuhachi” comes from the traditional length of the instrument, which was one shaku and eight (hachi) sun. The shakuhachi features a wide end made from the root stem of bamboo, and is capable of a wide variety of pitches that make it a versatile—and musically evocative—instrument. In the past, the flute was once played specifically by the Fuke sect of Zen Buddhism. These monks, called komuso, were a common sight during the Edo period. 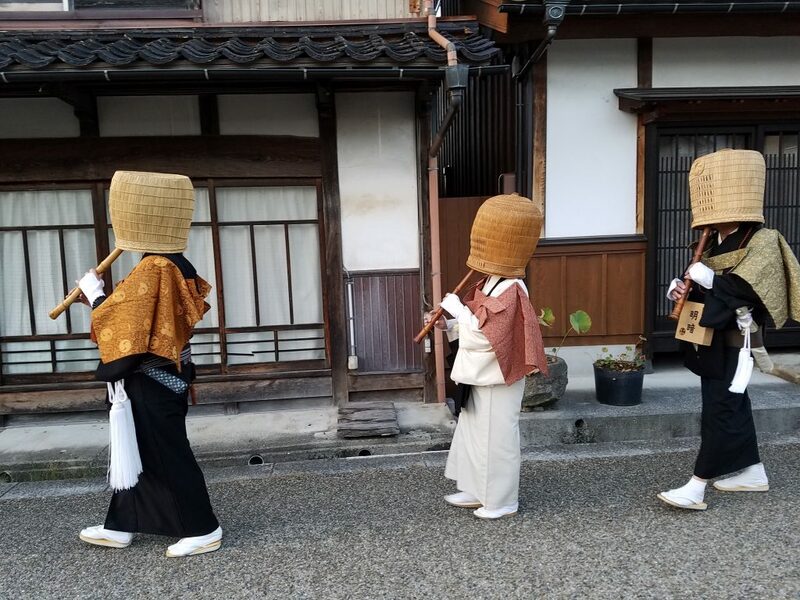 Distinctive in their wicker basket hats meant to hide their ego from the world, the ‘monks of nothingness’ walked ancient streets playing their bamboo flutes, their songs calling for alms and guiding them on musical meditations. 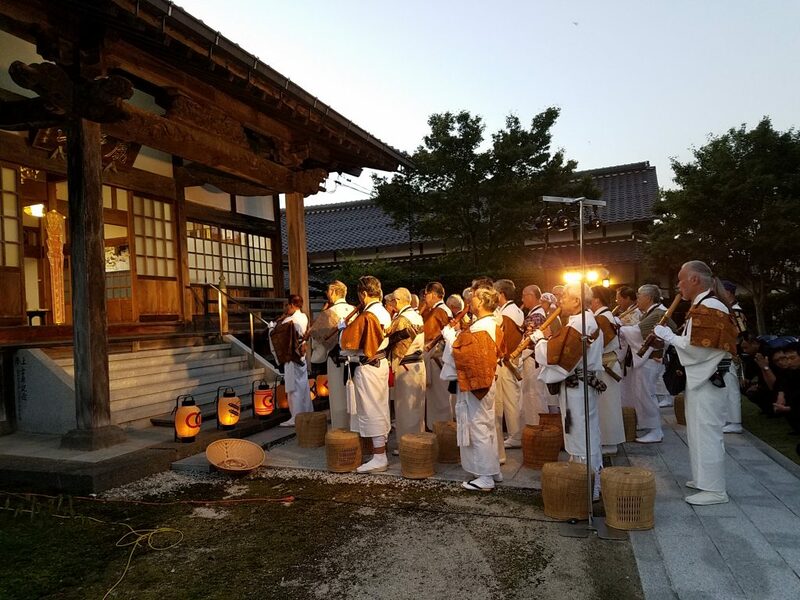 Today, shakuhachi enthusiasts honor their instrument’s heritage by going on musical pilgrimages to former Fuke sect temples. This is what I have come to Shikano to see. We hear them before we see them. The sound of bamboo flutes fill the cool autumn air—high and reedy, punctuated like meditative bird song. The shakuhachi players walk in groups of four, taking small, mincing steps. They don the robes of the past, their faces, like the ancient monk’s ego, hidden from view by wicker basket hats. The flutes trill as the musicians walk past houses hung with glowing lanterns bearing flower-like family crests. The notes of their instruments sing high, then low, each group of musicians seeming to perform a different movement of a single song. Eager onlookers and the click of camera shutters follow them. Some people whisper, a child runs out into the street giggling. Families peer from behind sliding screen doors, and children squat on concrete steps as the shakuhachi players walk past. In their komuso robes, they seem like a vision of the past in the present. At the local temple, the head monk offers a blessing, and the flute players join in a song of reverence. One ascetic takes out a smartphone and films himself in concert. The sun sets, a white moon rises above. Candles in bamboo holders light the way from the temple and into the streets. In the darkness, the shakuhachi’s voice sings, and like the story of the pied piper, we follow. The musicians stop by a single house, playing for an elderly woman who bows respectfully. When they finish they file out towards the river, their flutes whistling melodies to one another. Flutes are lowered, wicker hats are removed. It will be picked up again, in two years’ time. We turn and walk through the night, our thoughts filled with the contemplative images the shakuhachi’s song has conjured in our minds: autumn leaves crinkling, bamboo rustling, crickets whispering. 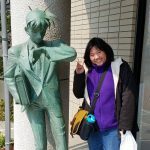 Sharon is a matsuri enthusiast on a quest to find Japan’s best souffle pancake. The history, culture, music and the present family time coming vividly through your clear natural description. Giving me the sense and feeling I was there watching, hearing and enjoying. Thanks for sharing this unique experience.